"His mind filled with thoughts of all of the amazing things that were keeping his friend from imagining him." Beekle lives on an island with many other imaginary friends, waiting to be chosen by a child. When Beekle continues to wait without ever being chosen, he realizes that there are many reasons why kids are no longer using their imaginations--video games, televisions, sports, and more. Instead of remaining unimagined forever, Beekle embarks on a courageous journey to the real world to find a child whose imagination matches his creation. Santat's Caldecott-winning book is beautifully illustrated, enjoyable, and poignant. His commentary on the valuable role of imagination in children's lives is well worth reading. I liked the premise, the illustrations, and the moral about friendship. 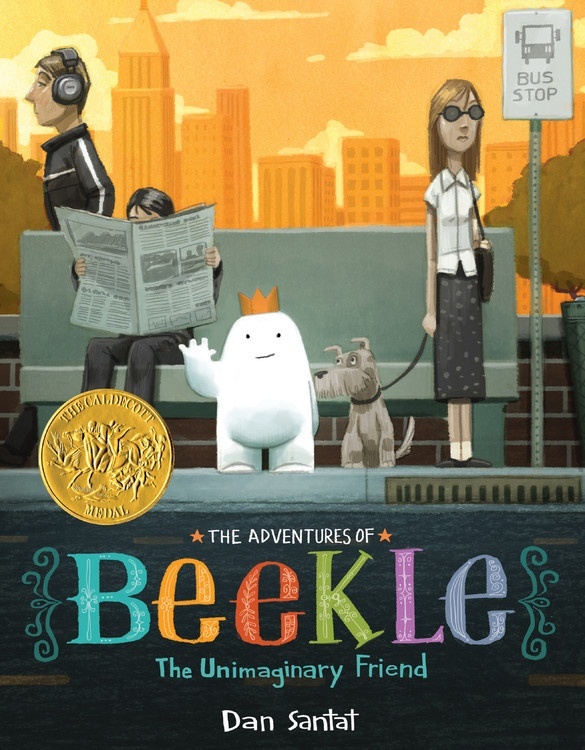 The Adventures of Beekle is a lovable book easily enjoyed by audiences aged three and up.